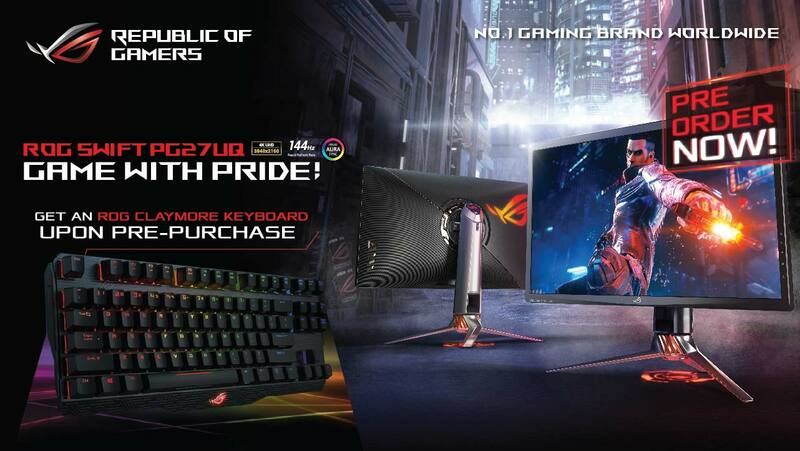 In its commitment to bring the most immersive gaming experience to its fans, ASUS ROG has recently announced the pre-order mechanics for its newest gaming monitor, the 4K 144Hz ROG Swift PG27UQ, What’s more, they’re bundling an ROG Claymore Gaming Keyboard, absolutely FREE! The ROG Swift PG27UQ is the world’s first gaming monitor to offer 4K UHD visuals at a stunning 144Hz overclockable refresh rate for the ultimate gaming experience. It’s also the first to have HDR 1000 certification, the top standard for HDR quality. Its IPS panel with quantum-dot technology also gives it a professional grade 97% DCI-P3 and 99% Adobe RGB color gamut, which means you get more realistic colors and smooth color gradations, and each unit is factory pre-calibrated with a color accuracy ∆E value below 3.0. The PG27UQ features NVIDIA G-Sync display technology, which delivers silky smooth, tear-free gameplay, giving you an edge in a variety of genres, such as first person shooters and racing games. NVIDIA G-Sync HDR Monitors also provide luminance that’s closer to what the human eye can experience, and offer an even wider color range than traditional monitors. Gamers can also plug-in their HDR capable devices, and enjoy highly detailed 4K HDR content. 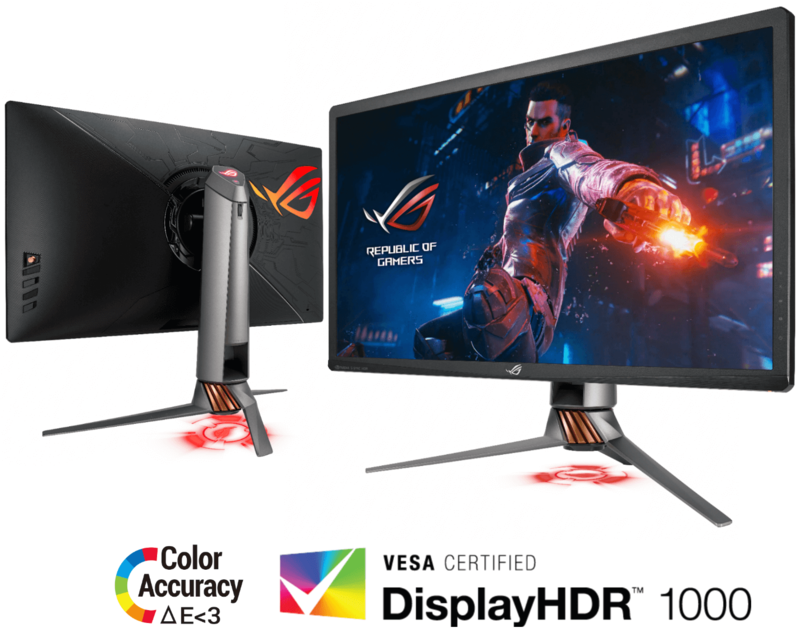 Of course, this monitor also features ASUS Aura Sync Technology, which allows you to synchronize the lighting effects with a growing ecosystem of compatible components and peripherals. The new customizable ROG Light Signal and Light Signature Projection Kit provides the ideal gaming atmosphere. In addition, the built-in light sensor allows the monitor to automatically adjust the brightness to help prevent eye strain. It also allows for extensive height, swivel, and tilt adjustments, so you always get your preferred viewing angles. The ASUS ROG Swift PG27UQ retails for Php 142,090, and is now available for pre-order in the Philippines, until July 15, 2018. For the full mechanics, terms and conditions, click here. Update (July 5, 2018): Edited the price. Hi, Please can you email me as soon as you get this, Thank you.